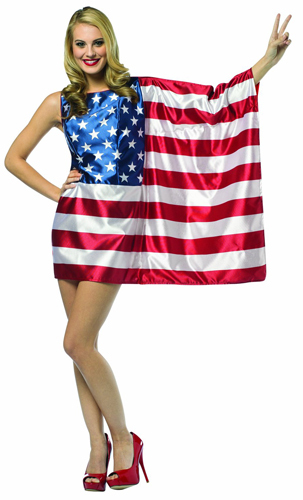 The USA flag dress is the best outfit to wear on patriotic holidays like Memorial Day, July 4th, or Labor Day if you want to show off your patriotism. About 48% of customers said that this dress runs small. Most of the customer recommended that it would fit maximum sizes 6. It is fun to wear. The fabric is 100% Polyester.